New York City Council voted to pass regulations on ridesharing companies such as Uber and Lyft on Wednesday. The cap involves a one-year freeze on new licenses for for-hire vehicles. Additionally, it requires that the drivers be paid a minimum wage of at least $17.22 per hour. Mayor Bill de Blasio and other supporters of the law say that it will ease traffic congestion and result in fair wages. According to a study by The New School for the TLC, ridesharing apps account for 80,000 vehicles in New York City alone, up from 12,600 in 2015. They are estimated to provide 17 million rides each month. De Blasio said, "Our city is directly confronting a crisis that is driving working New Yorkers into poverty and our streets into gridlock." 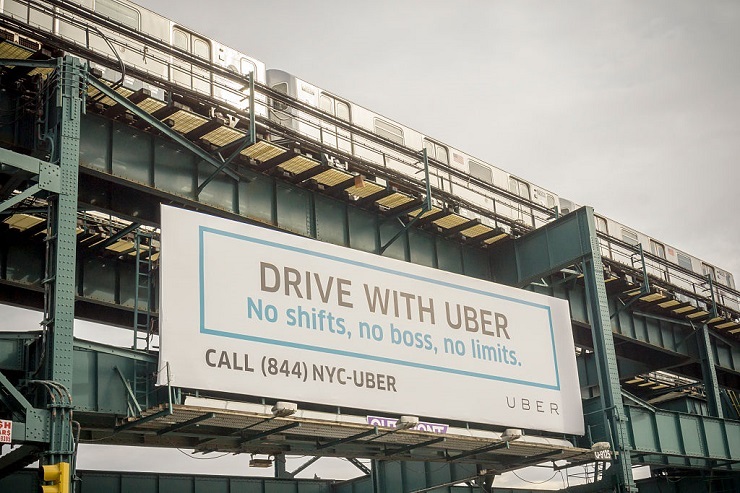 He added, "The unchecked growth of app-based for-hire vehicle companies has demanded action – and now we have it." The taxi industry also supports the move. They have claimed that ridesharing services have lowered the price of taxi medallions while also cutting into how much taxi drivers earn. Six taxi drivers were noted to have committed suicide in the first half of 2018 alone. Currently, there are about 14,000 taxi drivers in New York City. A number of Uber drivers also support this regulation. Ryan Price, the executive director of the Independent Driver's Guild, which represents more than 65,000 app-based rideshare drivers, said, "It's not easy taking on Silicon Valley behemoths, but we kept on fighting for what we know is right and today the workers prevailed." Critics, on the other hand, say that this measure will result in more expensive rides and longer wait times for people who rely on rideshare apps. Lyft's vice president of public policy, Joseph Okpaku, said, "These sweeping cuts to transportation will bring New Yorkers back to an era of struggling to get a ride, particularly for communities of color and in the outer boroughs." Nevertheless, he said, "We will never stop working to ensure New Yorkers have access to reliable and affordable transportation in every borough." On a larger scale, New York City's cap could influence other cities around the nation and world that are considering regulating ridesharing services. Uber plans to try to bypass new regulations by asking current drivers to share their vehicles with new drivers since the cap only applies to vehicle licenses.